If you are looking for Dedicated Divorce Lawyers near Rutherglen, please get in touch. Our main office is located in Uddingston and we would be happy to meet you at a convenient location/time. Alternatively we can speak to you via FaceTime or Skype. ‘Rooney Family Law’ has been proving its services for many years throughout the Rutherglen area. Our Team of Divorce Lawyers and expert Solicitors have been on many occasions called in to support and help many local clients and families. We appreciate that Divorce and Separation is a demanding time for you, your children and family. We are on hand throughout the stressful process of a break up and you can contact us any time – we offer a free initial consultation which will allow us to identify your best means of support, decide what the best action is for you to take and for you to decide if you want us to support and represent you. We do our utmost to make sure all of our clients get what they are due and what is rightfully theirs. When it comes to Children being involved we put their needs and interest first and foremost and advise what is best for them and their future looking at long term planning and aims to come from any separation or divorce. We make sure there are measures in place to support for the children’s best interests. We know that every individual case is different and as such we treat them and our clients the same way from various family relationships, to children and varying circumstances – we aim to help you, inform and provide you with the knowledge and support to make the right decisions and moves legally throughout your entire divorce proceedings. 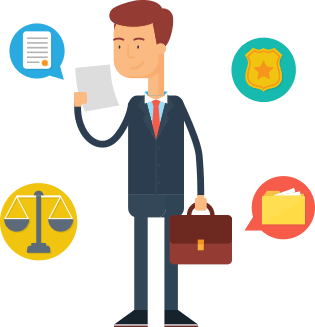 We are here to support our clients and customers and we aim to help in any way we can – in the unlikely event that we can’t help you directly – we will be able to refer you to one of our many contacts who will be able represent you and your case. We treat every case based on your own individual circumstances. Each case and person is different and we appreciate the fact. We have been providing knowledge and support to families and clients throughout the Rutherglen area for a long time and we have a great reputation throughout the local community for our work.